I am a full-time college student, who also work and pursue other various hobbies on the side. I understand what being busy feels like. In fact, the top things I hear from other students are that they are busy. In fact, I went around my campus today and asked other students for one minute of their time. The majority of their responses were that they just did not have the time. Now I completely understand we all have lives, but there is this myth that being busy equals productivity. You can productive without being busy. You can be busy without being productive. For example, I am only busy because I love Netflix, so I procrastinate on everything. This is an old habit, but because I added more to my schedule than it became a bad habit. Another thing, that I will love to point out is picking and choosing what will demand your time. Time is the only thing that you can't control, but you can manage it. So being busy with things that do not help you towards you, is a waste. For example, if you work like three jobs and are a full-time student, but school is more important to you. Find a job that will pay you what you need or take fewer units in school, so you can do well in school. After many trials and error, I have finally found that being busy is not the same as being productive. 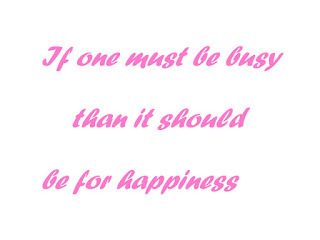 Time is always being wasted if you are not doing things that will lead you to happiness. My own definition of productive is anything that will lead you there. 3. Study. Do not cram. Analyze how much information and what is important information to know. Again do not cram, because your going to overwhelm yourself and most likely forget everything instead of learning what you need to know. 4. Staying free, During finals week you should keep your schedule empty. That way you have enough time to really study. My final tip is to breathe. Everything has an end, so don't quit until you have put your all into it. Those are my top tips for finals week, please feel free to share your tips as well. The more we know the more we grow.